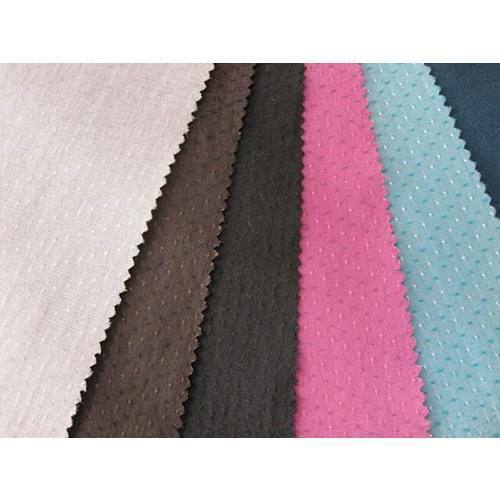 We are recognized as the eminent manufacturers and exporters of superior quality collection of Polly Cotton Fabrics. These are manufactured as per the defined standards of quality using top notch cotton and pollster that are sourced from most trusted vendor base. Our extensive range includes Dobby Design Polly Cotton Fabrics, Seer-Sucker Polly Cotton Fabrics and Plain Weave Polly Cotton Fabrics. These are valued for their color fastness, skin friendly nature and durability. The sophisticated infrastructure of our organization is established to manufacture and export utmost quality collection of Seer-Sucker Polly Cotton Fabrics. These are manufactured under the strict supervision of our quality inspectors using top notch raw material as high quality cotton & polyester yarn so as to make the range comfortable as well as durable. Further, we are offering the range at market leading prices and also in various designs, patterns and colors. Backed by a team of professionals, we are manufacturing and exporting astonishing collection of Plain Weave Polly Cotton Fabrics. To meet the exact demand of our valued clients, we are offering the range in vibrant colors, beautiful patterns and designs. Further, we can also customize the range so as to cater to the changing demands of our clients. Moreover, the offered range is valued by our clients for their durability, comfort and easy maintenance.